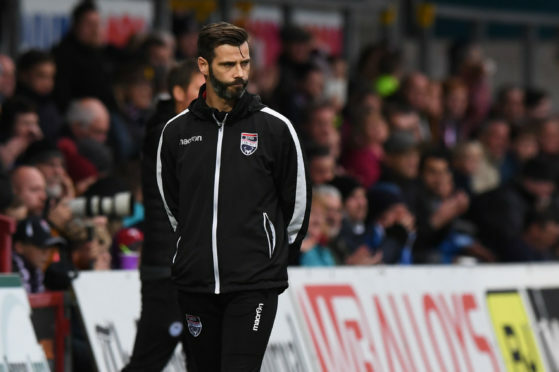 Ross County co-manager Stuart Kettlewell insists his club has to cut its cloth just like every other team in the Championship after growing tired of hearing how there is an endless pit of money at Victoria Park. The Staggies face the prospect of having to dip into the transfer market again after defender Callum Morris was ruled out for the foreseeable future with a serious hamstring injury but Kettlewell is weary of being told money is no object, thanks to the support of chairman Roy MacGregor, when it comes to signing players. He said: “We’ll have to weigh things up. As much as people think it is a never-ending bag of money at Ross County, and we’re fed up hearing that, it’s not the case. If we get the opportunity to strengthen we’ll try but we want one person who will give us quality. “It’s frustrating as every agent or manager seems to think that is the case. The chairman has detailed the financial constraints of relegation and it affects every team from being relegated. It is a blow but we forever hear ‘go speak to Roy’ but that’s not the case. Kettlewell and co-manager Steven Ferguson’s hands have been forced after yet another defensive injury blow for the club with Morris joining Liam Fontaine, who will miss the rest of the season, on the sidelines. The options are slim on the ground for the club and Kettlewell knows he and Ferguson have to try to address it. He said: “We need to check on Callum Morris but things are not going particularly well with him. We’ve had a couple of opinions on him and we’ll need to assess what course of action needs to be taken and take it from there. “He has a problem with his hamstring tear but it is more complex as it is the tendon of his hamstring. If it was the muscle it would be a definitive timescale but the tendon is one which has a tendency to reoccur. There is no quick fix for that one and it is a huge blow for us. “We’ve asked Ross Draper to play centre back at times but he is a centre midfield player. Even at 6’4” he is a centre back being asked to do a job in a different position so if something comes up we will try but there is no never-ending bag of money we can dip into. “We might need one or two but we’ve already done some good business with Lewis Spence and Kenny van der Weg, who has experience of being here before.